The complete revamp of the legend Kawasaki Fury 125 is here, introducing the new FURY 125 R. From tribal design into simpler decals and black cast wheels for a modern and sporty look. This motorbike will complete your gripped experience for its distinct design. Kawasaki Fury 125R will surprise every riders who attempts to use it. And its cross-breed design and mid-position fuel tank tempts you to take it anywhere you want that gives extreme stability, and the rear disc brakes doubles its stopping power. Why Kawasaki revamp the Fury 125 that is already great? Simply because they can give the best. It's engine has a normal displacement of 125cc, 4-stroke, Air-cooled, SOHC 2 valves capable of delivering 68 Km / liter. For me this is the next motorbike in my list, Kawasaki Fury 125 R is now available for only Php 71,900 in cash and you can also buy this in instalment basis. 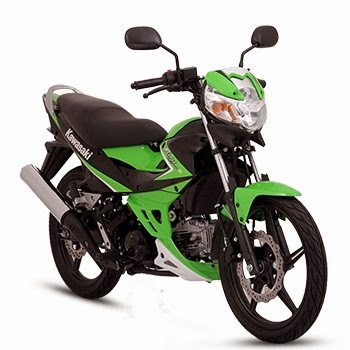 Comments or suggestions about "Kawasaki Fury 125 R Specifications, Price, Review | Kawasaki Motors Philippines" is important to us, you may share it by using the comment box below.